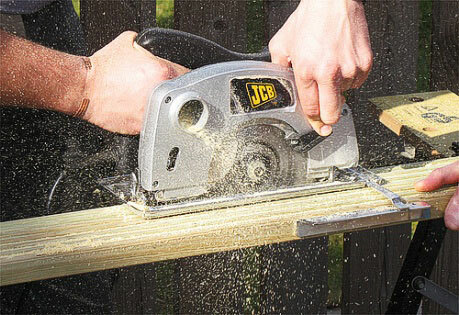 Does anyone in west London have a circular saw? We're trying to cut a cupboard door in half to turn it into a hinged corner door and I don't think a jigsaw will cut it (pun int.). I could chew through it but I want a straight edge, thanks all the same. I do have a mini table vice though if you want to borrow. or just the vice bit? I suppose I could use a normal wood saw. Hmm.. I also have a big tenon saw. I do, however your location is fail. I am more west than you. Melbourne. I win that one too. And at this present time? At this present time my saws are in Mildura. Not quite sure what you mean. We have a normal door that won't work properly due to washing machine obstructing its swing path. Chopping it in two vertically and hinging it should allow it to move around the washing machine. Lies created by you lot to repress the rest of the commonwealth. The truth.. ignore the compassy bit..
if the door when shut is flat it will work and look ok.if the door when shut is two smaller leaves at 90degrees to each other as in a corner, it could look ugly with gaps showing, if it is a panelled door. Hmm I kinda of get what you mean but since at the moment there is no cupboard door.. it can't be much worse looking.